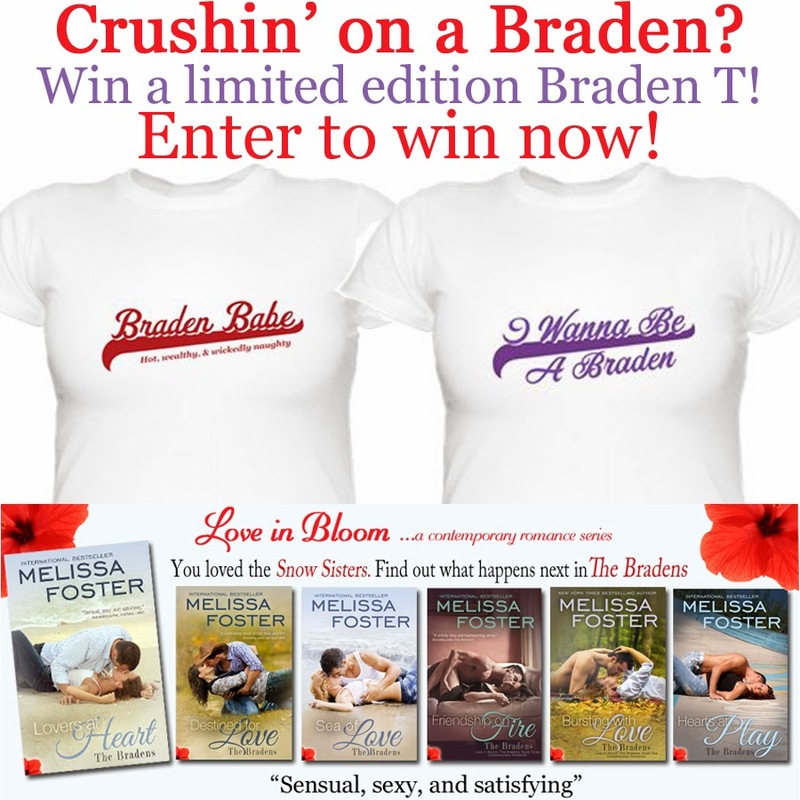 Selena Thinking Out Loud With Purpose would like to invite you to enter this Limited Edition Braden T Giveaway and celebrate the fantastic news with author, Melissa Foster, as she delivers another book, Hearts at Play! Love will definitely fill the air for my readers who enjoy this genre of books. Explore all of her current titles as well as the new book. Add her books to your reading list of books to tackle this year. Personally, I enjoy reading a good love story with lots of passion. It keeps the story interesting and me engaged on the plot and the characters as they develop throughout the story. ***However, I must note that due to mature content, her books are recommended for readers 18 years and older. Must be at least 18 years or older to enter. Celebrating the new release of the sixth Braden book, Hearts at Play, author Melissa Foster brings you this fantastic giveaway! 2 Winners will each win one of these 'limited edition' Braden T! The last thing Capital Series Grand Prix racer Hugh Braden wants after dating media-hungry leggy models and money-hungry fan girls is a blind date. But how could he turn down a favor to one of his best friends? Hugh expected the date to go poorly, but he didn’t expect to be intensely attracted to the beautiful brown-eyed bartender who completely blows him off—and steals his every thought thereafter. When Brianna’s perfectly orchestrated life turns upside down, Hugh is there to help, softening the turmoil, and maybe even rescuing her heart from the lonely place where it has been hiding. Can a man who doesn’t believe in fate and a woman who doesn’t believe in true love find happiness in each other’s arms forever? . HEARTS AT PLAY is part of the Love in Bloom series. Please use the Rafflecopter Entry Form below to enter this giveaway. All entries are optional. Make sure to complete a task first BEFORE clicking an ENTER button. All entries will be verified. Disclaimer: Selena Thinking Out Loud With Purpose is one of the promoters of this event. The host is responsible for contacting both winners of this event for mailing information to be sent to the author. This blog is not responsible for shipping of items won. No purchase necessary to enter. Selena Thinking Out Loud With Purpose is very happy to introduce this $25 Build a Bear Gift Card Giveaway. Having the opportunity to build your own bear, just the way you like it, for someone special in your life, is priceless. Don't you think? If you haven't had the chance to do it, this gift card will help you on your way! It's very simple to enter this giveaway, just enter on the Giveaway Tool provided below. Good Luck to You! This giveaway is open to US. Giveaway Ends: February 2, 2014, 11:59 pm est. One (1) $25 Build A Bear Gift Card. To enter, complete the tasks on the Giveaway Tools widget below. All entries will be verified by the host. All entries are optional. Disclaimer: Please note that SaraLee's Deals Steals & Giveaways and Selena Thinking Out Loud With Purpose are not responsible for sponsors who do not fulfill their prize. Disclosure: The following review is taken 100% from my own experiences with these products. They were given to me free, to try, as a BzzAgent. Selena Thinking Out Loud With Purpose is an official BzzAgent and very happy to review Simple Truth and Simple Truth Organic. I'm the kind of lady who watches what she eats and that's not because I want to stay looking good in my skinny jeans. I do enjoy food, you know. As I've gotten older I realize that my body isn't taking any mess from me, when it comes to binge-eating with cheese pizza, french fries, and sea salt kettle-cooked potato chips. Those escapades are sadly over. Even during the holidays when most Americans find themselves binge eating, I keep it very conservative. So, when I had the opportunity to review, for free, some of Kroger's Simple Truth and Simple Truth Organic, I had to jump on it! According to Simple Truth and Simple Truth Organic products, they are: open, honest and affordable foods that represent the joy of eating closer to the way nature intended. Making better food choices just got a whole lot simpler with clean packaging and easy-to-understand ingredient statement that take the chore out of selecting organic, "free from 101+ artificial preservatives and ingredients" and natural foods. I'm a cereal monster. I love trying new healthy choices, that gives me the vitamins and minerals I need with a touch of sweet goodness. So, I was anxious to try Simple Truth Sweet Nut Cluster & Flake Granola cereal. It was very tasty with texture, I realized from the start. I liked that the flakes, the granola, almonds and nuts were noticeable in my bowl. The flakes and granola were huge morsels. You could see that they weren't skimpy on the product and with every bite I could taste the sweetness of the granola the the bite of the nuts. I would definitely buy this cereal again, if the price is as reasonable in Ralphs, as advertised. Cereal prices are definitely highly-priced these days, when it comes to the cereals that are actually good for you, as I have noticed. However, I am open to purchasing this product. I give this cereal two thumbs up and a Grade: A. Who's loves popcorn? I LOVE popcorn. I can eat it anytime of day and not just at the movies, either. It's light, airy, fluffy, and a great snack in between meals for me. I also like a touch of seasoning to bring out the popcorn flavor. These are all the qualities I loved about Simple Truth Organic White Cheddar Popcorn. I ate this bag of popcorn while watching my Netflix movies, working on my business plan, and just as a midday break from working from home. I couldn't get enough of it. The white cheddar didn't drown out the popcorn and that is definitely a plus for those of you who are watching your figure. I would purchase this product again and give it a Grade: A. The final product that I had the opportunity to review for free was the Simple Truth Flavored Blackberry Blueberry Vapor Distilled Water and Electrolytes. I thought at first glance that this would be a carbonated, flavored, water, which is normally how I see it in grocery stores. However, it was water with a touch of flavoring. I also heard from another person that electrolytes help the water absorb into the body much better. This product tastes like you're drinking regular water and you finally get the taste of the blackberry and blueberry, during the after taste of the experience. I don't usually make a big deal out of my water drinking. I normally drink purified water and call it a day. So, with that said, the product is okay, but not for me. I don't understand the reasoning behind the flavoring in regular water, for this product. I know that some people have a difficult time drinking enough, plain, water, but this product wouldn't satisfy that problem with it's flavoring, at least not with this particular flavor I tried. I wouldn't purchase this product as often. I give it a Grade: C.
If you're a fan of coupons, I do have some available for Simple Truth and Simple Truth Organic products. They will expire 2/28/2014. How to Get Them: If you would like some, send a message through my Contact Me page, with your mailing address, and I will get them out to you! I hope you enjoyed my reviews of some of Simple Truth and Simple Truth Organic products. There are many products in this brand in your local Kroger sister supermarkets. Go try them and create your own buzz about your favorites. What are some of your favorite Simple Truth or Simple Truth Organic products? Which ones do you recommend I try? In the following Youtube video, is a BzzAgent Unboxing for Simple Truth and Simple Truth Organic, just in case you would like to know how you would receive a product to review. If you would like to become a bzzagent, visit their site and sign up for FREE! The video gives advise on how to get all setup so you can hopefully get your first campaign sooner than later. I find that BzzAgent is a whole lot better than their competition. You just do the surveys so they know what your interests are and then link your social media sites, so they see how fabulous you are to your friends and family, and you're all set! Oh, yes, BzzAgent gives you points through MyPoints to use on gifts and prizes, when you complete those surveys too. Create an account at Mypoints and link it as well to your Bzzagent profile. Then, watch your email inbox for invites to campaigns and respond immediately because they fill up fast, but only if you like the product enough to give it a try and create buzz. No product is pushed on you or mailed to you, without you first accepting the campaign. These are full-size products so they want you to experience the product and then buzz the truth about your experiences with friends and family on social networks, face-to-face or over the phone, then update them, on their website. To help get your New Year started off in winning fashion, Selena Thinking Out Loud With Purpose, wanted to give you some tips on winning some sweepstakes. As you know, I enjoy providing you amazing giveaways and sweepstakes. So, this year will be no different. Stay Tuned and Happy New Year! Winning sweepstakes can be a lot of fun. My mother gets excited every time she hears the doorbell ring, and in fact some of our telephone conversations consist of her telling me what to watch for in the mail (in case she's won something for me), or what her latest or greatest prizes have been. The first time she called I admit it was a bit of fun when she was giving me gift certificates for free meals. After that, sometimes she's called to share a gift card for groceries, or just share some very cool prizes such as exclusive concert tickets. That being said, there are a few quick and easy strategies you can employ to help increase your chances of winning, and winning more often. 1. Winning Sweepstakes is a number's game. The more you enter, and more often, the better your chances of winning. Simply put, if only two people enter a sweeps, then you have a one in two chance of winning. Or, in other words, a 50% chance of winning. If 10,000 people enter, and you only have one entry in 10,000. It's still possible for you to win, but less likely. Likewise, the number of sweepstakes you enter on a regular basis plays a big part. 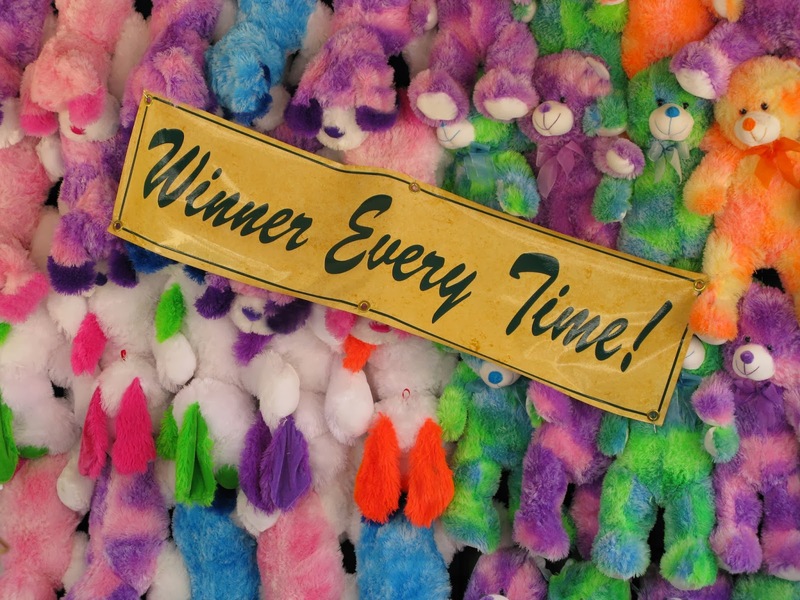 If you only enter one sweepstakes in a month, then it is either win or lose. But, if you enter 300 sweepstakes/month that say have 100 entries each, then you are much more likely to win something, or maybe even a few prizes. From my experience from talking with people that successfully enter sweepstakes, generally speaking as a minimum they will enter at least 50 different sweepstakes per day. If they want to really increase their chances, they will enter usually at least 250-300/day. 2. If you know what you want, 'hard to enter' sweepstakes also give you a good chance. There are some companies that make it difficult for people to enter sweepstakes, such as implementing captchas, having to create a user account, having to fill in a survey, etc, etc, before you can enter. (Personally, I feel those companies are making a mistake, because they are 'limiting' the exposure of the sweepstakes, when the goal is to get as many people to know about the company & promotion as possible). However, the good news for you is that the odds are very good, simply because not that many people enter. For example, I have seen some 'Video' Sweepstakes that required the user to submit a funny video, with a prize pool of $250,000. For "$250,000", there literally were only about 700 videos after extensive promotion, and I believe it was a couple months time. The odds are exceptionally good. Likewise, sweepstakes that require captchas or surveys also give you very good chances to win prizes because not that many people want to enter, because it is too much work. Now - why do I say that you need to 'know' what you want in this case? It is because these types of sweepstakes will take you a longer time to enter. Sometimes 10-15 minutes. But if you are focused, and focus on those sweepstakes alone, then since you only have so much time in a day, you have a very good chance of winning the prizes you want. 3. Consistency is important. For example, daily sweepstakes are great, and offer some wonderful prizes, but you need to enter daily in order to increase your chances. You need to enter on a regular basis to see results. Just like you didn't give up trying to learn how to ride a bike after the first try when you were a child, you shouldn't give up after only one or two sweepstakes. Consistency is important..
4. Tell your friends about your prize winnings and the company that sponsored them! While naturally, you would probably do that anyways, it is important to remember to mention the company. Why? And how does that help your chances? Well - companies offer sweepstakes because in the long run, they want to introduce great products & services to people. One way of doing this is through "word of mouth" advertising, aka, through sweepstakes. If they get 'feedback' that they had a very successful promotion (i.e., lots of people talked about their company, ideally such that they ended up getting more sales because of it, from people who wanted to purchase from them) -- then they are much more likely to offer those types of sweepstakes in the future, or even more. And, of course if there are more sweepstakes -- then that means you have more chances to win. 5. Smile, have fun, and have patience! Entering sweepstakes should be fun! It is fun imagining what great or amazing prizes you could win, and of course if you do win, it is even more of a great feeling! And of course, patience is important. This is not like a 'job' where you know you will be getting a steady paycheck every two weeks. No. This is a sweepstakes. Sometimes you need to wait at least two or three months before seeing results. Simply because, the sweepstakes may take a month before it ends, and then may take another 2-4 weeks for the company to contact people to award the prizes. You want to keep doing it on a consistent basis, because then if you win, you will continue to have a very good chance of winning. If you only do it once or twice, (and let's say you won three months later), then you would need to start all over and most likely wait another 2-3 months before seeing a prize! Increase your chances of winning significantly now by getting the free 1-week full version trial of Sweepstakes Ninja! You can push a button, and be entered in hundreds of sweepstakes instantly! 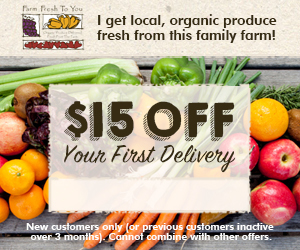 Click here now to get it! Sweepstakes Ninja!